Technological innovations and new mobility: Attitudes and values of older people. Sometimes you get involved in a project in academia that you really love. This happened to me carrying out some research on developing age friendly transport in the Greater Manchester area. The final report is now available here. 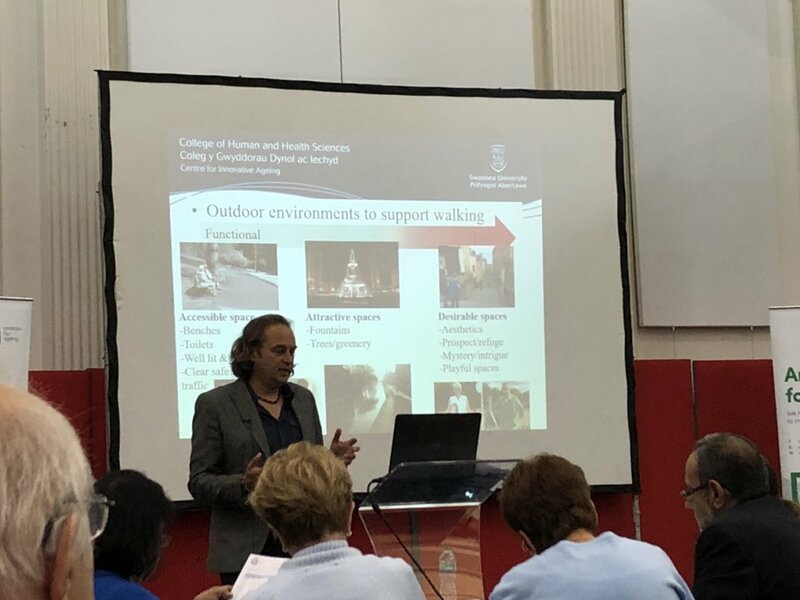 For me three things summed up why I enjoyed the project so much, the involvement of older people, a brilliant engaging audience at a workshop and being surrounded by great people from policy and practice. (1) The involvement of older people throughout. 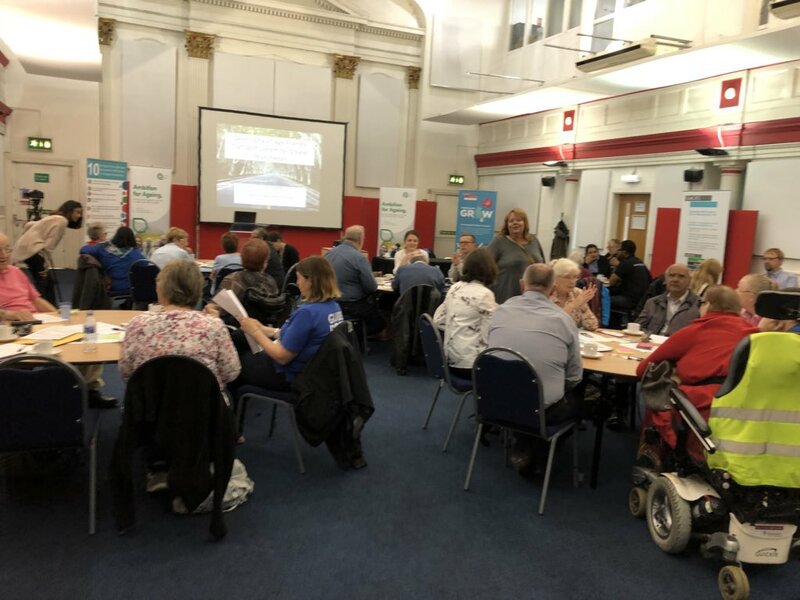 The workshops took place in Salford, Tameside, Bolton, Bury, Oldham and Wigan and were expertly coordinated and mainly run by Kirsty Bagnell from the Greater Manchester Centre for Voluntary Organisation. In each of the domains, participants were required to rank problems on how common the problem was and how important the issue was on a 2×2 grid, followed by solutions on a 2×2 grid based on how effective the solution was and how easy it was to implement. This helped prioritise key issues in an order, rather than simply present issues and problems. Cycling . Unsurprisingly, it was discussed that it would help cyclists and also pedestrian and drivers if more dedicated cycle paths were built. Bus driver’s lack of awareness of older people’s issues – especially drivers driving off before the person had sat down, as a participant in Wigan noted, “Some drivers can’t wait for you to get in the bus and they’re going…for me it’s intimidating. You’re frightened of falling” and drivers not being sympathetic to older people struggling with their pass or with bags and not stopping close enough to the kerb for people to easily board and alight. Generally just a poor bus service – including the bus stop being poorly cited not close to residential areas (esp Wigan and Oldham) or the bottom of hills (esp Wigan) and unreliability of service (esp. Oldham) and difficulty swapping between buses with different operators (all areas). Poor quality bus stops – poor signage and information and lack of seating. Poor quality buses themselves e.g. not working drop down mechanisms and lack of grab rails. Using the free bus pass before 9:30am. Community transport and ring and ride services. Two main issues were noted; (1) There was some ambiguity over who was eligible to use community transport. Some people even discussed not knowing community transport existed at all. ; (2) some felt the service was too inconvenient and unreliable, taking too long to travel to places. Railway service. Highest priority area was lack of help, tickets being confusing and not getting a seat. More minor priorities were accessibility at railway stations and cleanliness of trains. Driving. Difficulty getting a blue disabled badge if needed on a temporary basis was noted. Lack of drop off points near health centres and bus stops was also discussed. Finally cars parked on the road and on pavements can be an issue to drivers. Policy. Not being involved in decisions affecting transport was frequently noted. Coupled with this was feeding back, including lack of confidence in reporting and time taken to make any changes. As a participant in Oldham noted, “There’s no action when you complain. You get no feedback. You can complain to somebody but you don’t know that person’s passing the complaint on.” And a participant in Bury noted, “Very important to consult people whether they take any notice is another thing….sometimes you get invited to a lot of these consultations and you go and you sit and then you think what were the point because nothing’s changed” . Another issue noted, as often stressed by manchester’s Mayor Andy Burnham, is the lack of investment in areas, like Greater Manchester, in comparison to London. (2) A brilliant and engaging audience at a workshop. I had a chance to present the findings to date (and bring in some other material) in a workshop to around 80 or so older people and people representing older people’s charities and third sector organisations, at the Ambition for Ageing Seminar hosted by Greater Manchester Centre for Voluntary Organisation at their St Thomas Centre, Ardwick Green North. The audience became participants and my talk generated a lot of fascinating discussion throughout, and at the end I ran an exercise in groups to help shape some of the findings into priority areas, mimicking some of the earlier workshops. The participants ranked the solutions around priority and how long it would take for each solution to be implemented. Priority areas are those that older people felt needed to be done first and would have highest effect and included: training for frontline public transport staff, concessionary bus pass to operate before 9:30, developing a Transport Action Group to help get older people involved in transport policy and getting their voices heard, implementing a community toilet scheme and take a seat campaign and having audio-visual bus stops. Recommendation 1: Staff working in transport to be trained in older people’s issues. It was clearly evident that people could make or break a journey for older people. Having well trained staff at stations, as bus or taxi drivers, who were well aware of older people’s issues and sympathetic and helpful would really help improve mobility for older people. Recommendation 2: Getting more older people involved in transport planning and design. Older people wanted much more say in transport decisions being made and had some excellent suggestions for transport improvement themselves. Interestingly, TfGM also noted how hard it was for people to understand the resource or service constraints they are under when regulating or running transport policy and services. So getting more involvement could actually prove a two-way street. In my work, people can become quite reasonable when they realise some solutions are unworkable as long as they know why and feel they are being listened to. Recommendation 3: That other sectors help manage transport demand better. It isn’t always just changing transport, but also about involving other players in this. We often continue to work in siloes which can be detrimental to creating lasting interventions. For example, situating mega-hospitals at the edge of town or city centres, agglomerating a lot of the old primary and secondary care facilities under one roof, can save costs and improve cross department working for health staff. But they pass on some of the costs to the transport network and to individuals’ mobility in accessing this facility. There are examples of joined up thinking, the healthboard in Durham for example paid the council to grit the roads, which ultimately saved them money through reduced falls on icy pavements. In 2014 the Transport Select Committee floated the idea of ‘total transport’ which involved better use of existing transport resources, including using hospital and school transport when it was dormant. Devon County Council was an initial pilot for Total Transport, working to improve non-emergency patient transport services in partnership with the local Clinical Commissioning Group. Recommendation 4: Community resources and support. There is a role the local community can play in enabling older people to get out and about. Support through businesses, cafes and other buildings opening their doors so people can take a seat or use the toilet can be very beneficial for older people wanting to get out and about. Recommendation 5: Demonstrator communities. It is suggested that funds be established for demonstrator projects that help overcome some of the issues identified in the workshops. Two immediate demonstrators could be piloted; (1) increasing time for older people at crossings e.g Singapore Card Scheme. or the Neatebox Button. (2) audio-visual bus stop information e.g City Verve talkative bus concept, .or the Trapeze group’s Talking App. Having TfGM involved throughout has really been useful in helping to set the context and the parameters of the work. With the findings and recommendations stemming from the older people themselves, TfGM have been able to see where and how the issues arise. TfGM are now tasked with responding to the recommendations made in the report. So, overall a great project to be involved with, highlighting and championing older people’s transport issues and beginning to work towards some solutions.